It has been just a week that LOGITECH officially unveiled its mouse and trackpad. 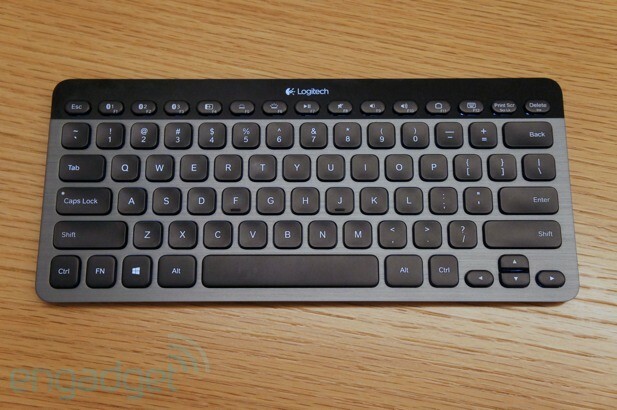 And now, the company is rolling out K810 Bluetooth keyboard with AUTOMATIC LIGHTING. The keyboard seems to be quite impressive. It comes with the Simple Switch, a technology first introduced on the K760 that allows the device to pair with up to three Bluetooth-enabled devices at once, regardless of the OS and you can switch between them via a dedicated button in a second. As for the switching bit, each paired device gets assigned to one of three function keys; just press the button to start using the keyboard with that device. You can have the same keyboard hooked up to your PC, tablet and phone, and be able to type on all of them from minute to minute. That's GREAT, Isn't it??? The keys have a backlight glowing from underneath. They have got proximity sensors which automatically turns off the light when the keyboard isn't in use and will automatically turn on when it detects your hands over it. It also automatically adjusts its brightness. The keyboard has a rechargeable battery which runs for over a month long.The keyboard is compatible with Android 3.0, iPhone and iPads running on iOS 4.0 and Windows 7, Windows 8, and Windows RT. You just need to have your device supporting the keyboard profile HID. The K810 is expected to hit the U.S Stores by the end of October and sell at a price of $100 and will be available in the European market after a month or so. 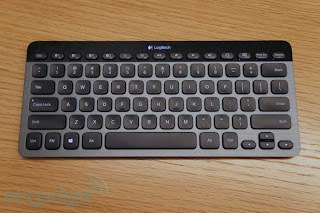 0 Respones to "Logitech K810 Bluetooth keyboard with automatic lighting"